PART TWO: Resolutions you can keep! Why bother making New Year’s resolutions? 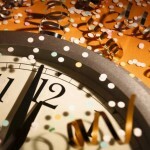 “Resolution” is just a fancy-pants synonym of “goal.” I resolve to ________ in 2012. It is my goal to __________ in 2012. Same meaning, different terms. Why make goals? Mike Bickle says, “To waste time is to squander destiny.” Read that quote a few times and dwell on it until you really feel its weight. When we sail through life without a plan, we waste a lot of time and miss out on the good we might have accomplished had we only set some goals, or made some resolutions. Goals give our lives direction. Without them, we’re adrift. I hate that feeling, the sense that I’m listless, without purpose, without intention. I need dreams worth pursuing and a plan for achieving them. Several years ago I was struck by a couple verses from the Bible. One said that with God, anything was possible (Mark 10.27). Absolutely anything! The other said, “… You were redeemed [by Christ] from your empty way of life” (1 Peter 1.18). One translation said “your aimless conduct” (NKJV). One verse was telling me I could accomplish anything with God. The other was telling me I needed to know what I was trying to accomplish. Otherwise, I was living a life of aimless conduct, which Jesus had died to free me from. How could I simply live adrift? I needed goals, and if anything was possible, then I needed to aim big. Since this feeling of urgency gripped me around New Year’s, I made a resolution. A big one. I’ll tell you more about that tomorrow and give you the first step I took toward keeping that resolution.